March 24, 2016 in 2016, General Media Release. Cancer Council will today reveal the alarming amounts of sugar in popular Easter treats, warning Queenslanders about the significant health dangers of overconsumption. New research* has found one medium Easter egg contains 23 teaspoons of sugar on average – three times the daily maximum amount recommended for children. 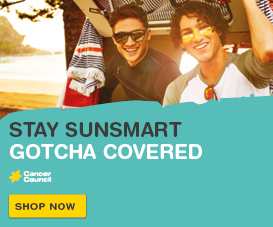 Cancer Council Queensland spokesperson Katie Clift said even a small Easter egg could contain around 14 teaspoons of sugar – more than double the recommended six teaspoons daily. 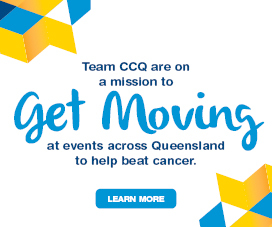 “The Easter long weekend is a time to relax and enjoy with friends and family – we want Queenslanders to do that as healthily and happily as possible,” Ms Clift said. “Many parents wouldn’t be aware that treating their kids to an extra-large Easter egg could mean treating them to an average of 60 teaspoons of sugar per egg! “This is a warning for all Queenslanders to go easy on Easter treats this season – eating substantially more sugar than the recommended amount can have a serious health impact. The World Health Organisation recommends limiting sugar consumption from both food and drinks to no more than six teaspoons a day (about 25 grams) for optimum health. One 250g milk chocolate bunny can contain around 35 teaspoons of sugar – which would take about three hours of running to burn off. Just four small milk chocolate eggs can exceed the daily recommended sugar intake, and would take half an hour of running or 40 minutes of bike riding to burn off. A 200g milk chocolate bunny with 28 teaspoons of sugar would take three hours of swimming to burn off. “We’re urging Queenslanders to check the labels on Easter treats and limit consumption this long weekend,” Ms Clift said. 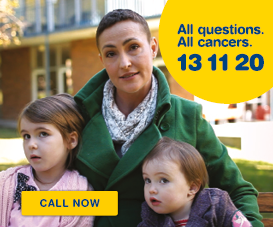 More information about Cancer Council Queensland, and ensuring a happy and healthy Easter, is available via 13 11 20 or cancerqld.org.au. Stay EGGceptionally healthy this Easter long weekend!